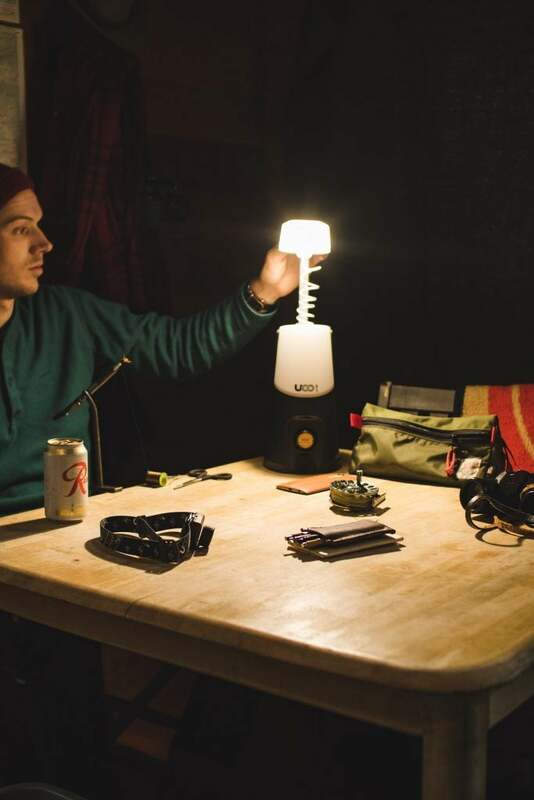 Ask anyone to describe a camping lantern, and they’ll all say something similar: a compact light on top of a battery pack with a handle overtop. They’re calling it the Sitka Lantern. It elevates the light source above eye level for comfortable, wide-casting light anywhere you camp. The Sitka Lantern officially launches early 2017. 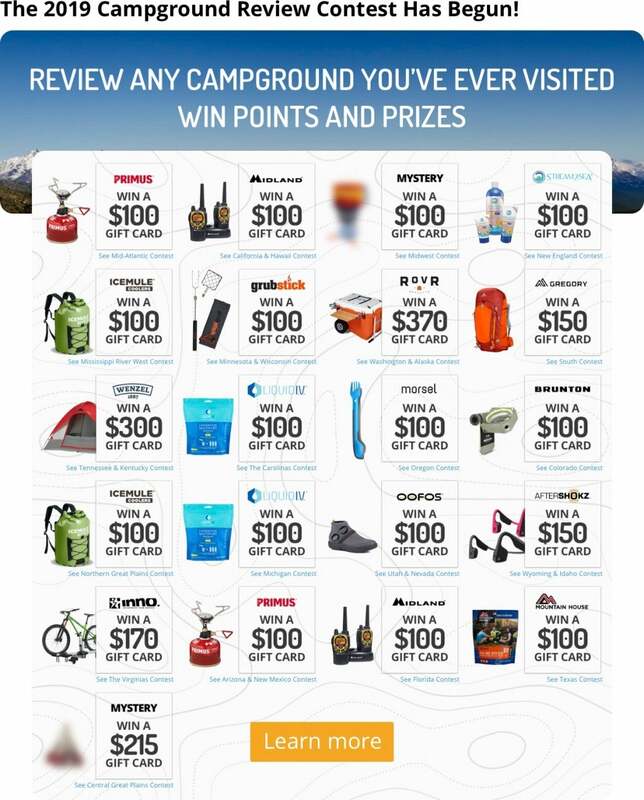 I got to check it out at Outdoor Retailer Summer Market 2016, and it stood out among a room of new outdoor gear, which is always impressive. 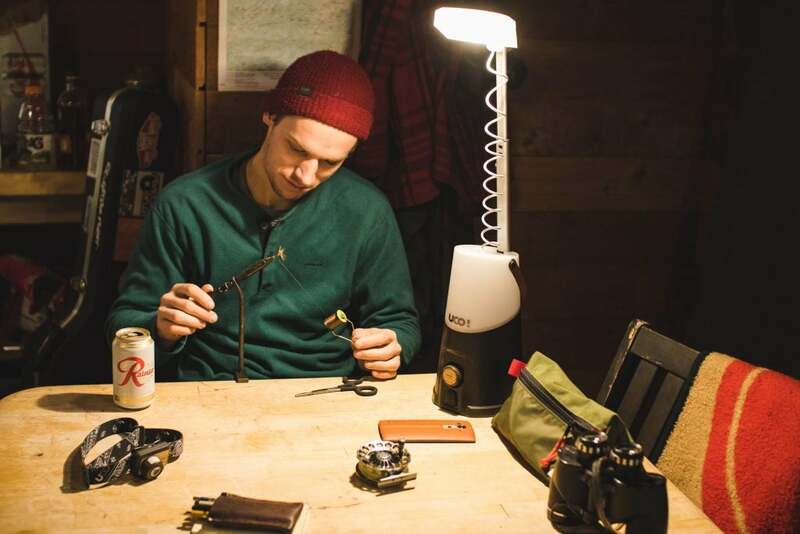 Ahead of its release, I sat down with one of the creators of the Sitka Lantern, UCO’s Colin Quinn, to learn more about the inspiration and process behind creating what is bound to become a staple of camping gear for years to come. 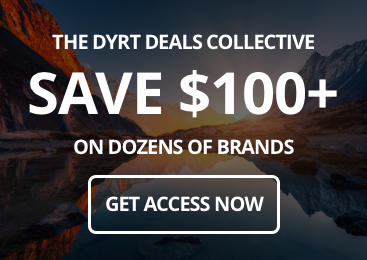 The Dyrt: Describe your path to becoming a Product Design Engineer at UCO. 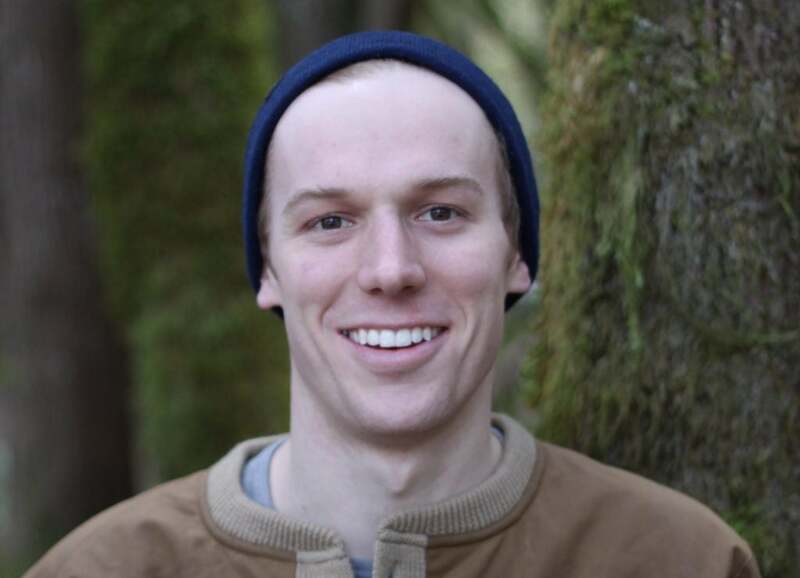 Colin Quinn: I went to school for Product Design Engineering and when graduation was looming, I decided I wanted to pursue a career the outdoor industry. 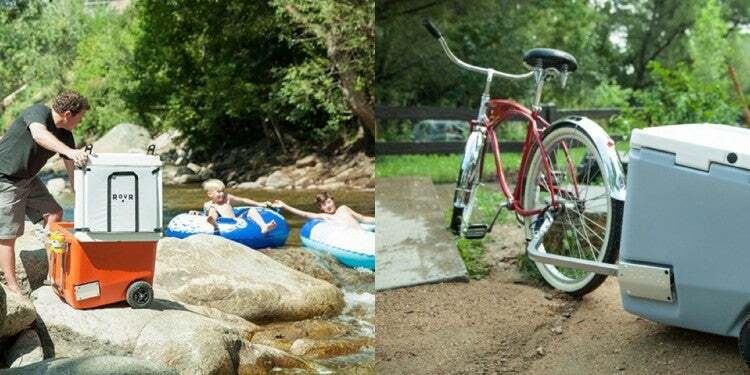 Camping, skiing and just being outside had always been passions of mine, so it was a natural decision for me to follow those passions and work in the industry…. I’ve [now] been with UCO for two and a half years. 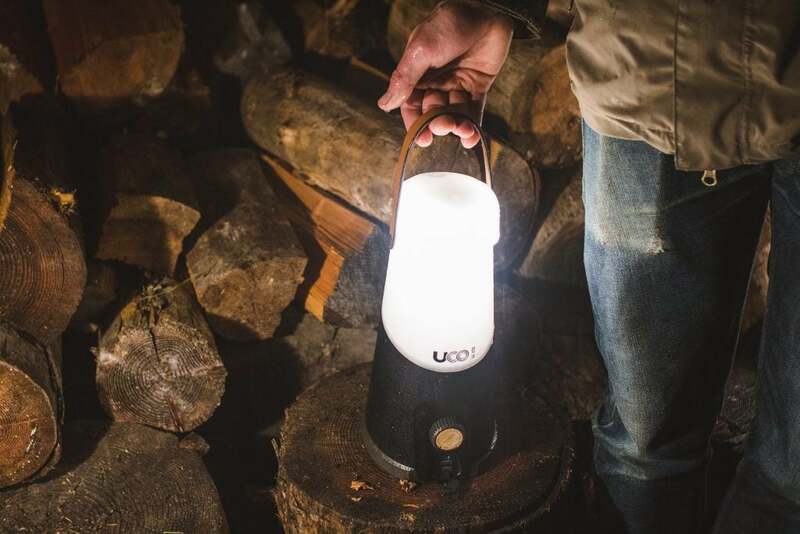 CQ: Historically, UCO has been known for smaller, multi-functional lanterns. With [the Sitka] lantern we really wanted to make a statement when getting into the larger lantern space. We saw a need for innovation in this space based on a particular insight we had. My manager, Peter Pontano realized that light overhead is almost always better than light below your eyes. Whenever we’re inside, light is almost always above us, but when we’re in the outdoors lights were normally on table tops, shining in our eyes. Designing around that insight, we made the Sitka, a self-contained overhead lighting solution with an extension arm that lifts the light to an optimal overhead position. When you use this lantern, it truly is amazing how much more quality light you get. The Sitka Lantern acts as a traditional lantern, too. Photo by Colton Jacobs. Dyrt: This is a great origin story — makes a lot of sense. Was Peter actively looking to create a new class of outdoor lanterns or did the idea hit him while in the field? CQ: That idea came to him while on a camping trip actually when some of his friends tried to rig up a light over a game of cards. That light ended up falling on the card game. Dyrt: Who did you design the Sitka for? 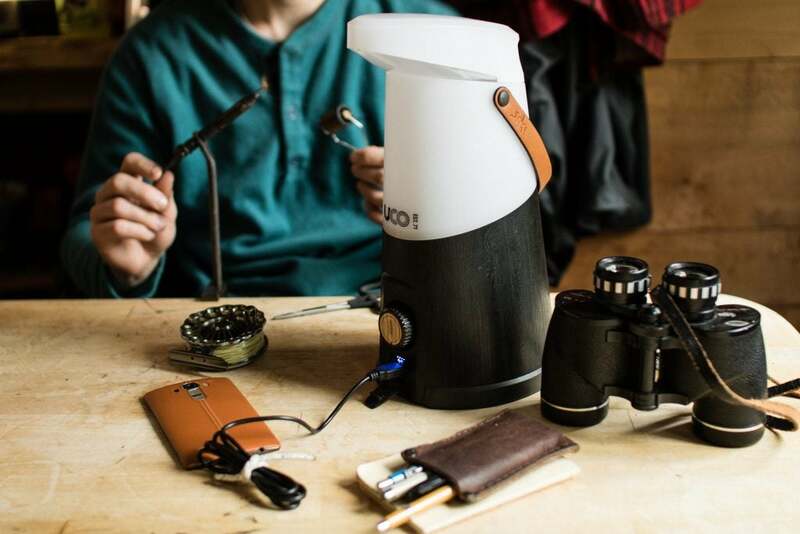 CQ: The Sitka was designed mostly for car campers who get out a lot, cook when they camp and also need some power to recharge all of their devices. That being said, it’s also perfectly at home on a bedside table or at the cabin. I’ve taken it on all of my recent outings – camping, bouldering, to an off the grid cabin – and I’m still discovering awesome new uses for this guy. Dyrt: If a lantern could be your friend, it would be named Sitka. Super cool to learn about these different use cases. CQ: Yeah… [Personally] I’ve started to use it as my bedside lamp at home. It’s performed just as well inside as it does outside. 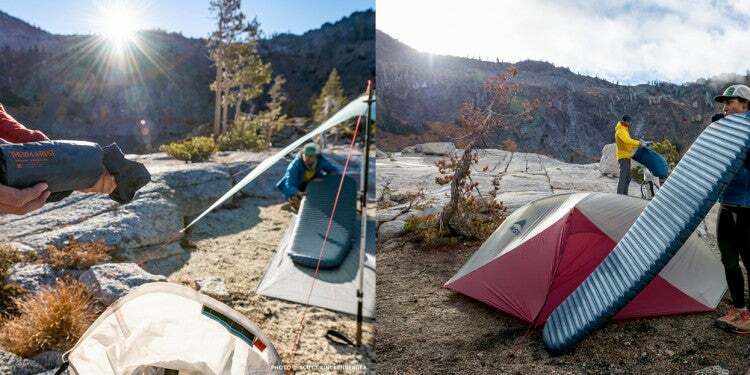 Dyrt: One thing that’s super interesting to me about the Sitka is how it’s almost like a home base when you’re at camp–aside from a campfire, it can be the new gathering point for campsites at night, and its various functions enhance that role. Can you speak to the recharging capabilities a bit? CQ: Certainly. We wanted the Sitka to be that sort of “basecamp” lantern that groups of campers could hang out around, like a central hub of the campsite. It has a 6600 mAh rechargeable battery with 2 USB outputs. A fully charged Sitka+ can provide up to 3 full cellphone charges. Dyrt: What’s different about the Sitka compared to other [lanterns] on the market? CQ: If you look at the market for lanterns in the same category, you won’t find any lantern that gives you the same light quality as the Sitka. With the extension arm that lifts the light overhead, it provides more usable, quality, bright light than any lantern out there. I think it also has a certain style element, with the leather handle and real wood badge, that differentiates it from other products out there. Dyrt: Does this come at a sacrifice–does the light quality require more power? CQ: Actually it doesn’t. We designed the LED temperature and array in combination with the globe materials to provide super high quality light without sacrificing any lumens. 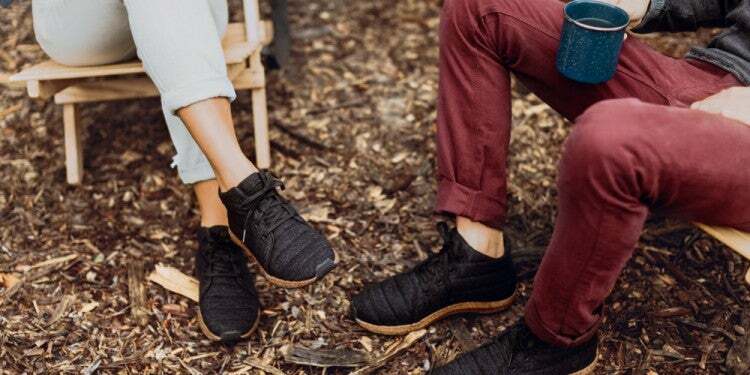 Dyrt: I was drawn to the Sitka initially because of the style element. Was this you, too? Can you describe the team and roles behind the Sitka, if any? CQ: Yeah I definitely had a role in designing the style, along with my teammates Jami Odell and Peter Pontano. Peter and I are product design engineers and Jami is a graphic and industrial designer. We all collaborated on the look and feel of this product, bouncing sketches and ideas off of each other until we came to a consensus. When we found a form direction we liked I took it and refined it a bit and then moved it into 3D. The leather strap and the real wood badge on the dial were things that we all had a part in. We knew we wanted to incorporate natural materials on this product and I think we accomplished that. Dyrt: Definitely. Where did you draw your inspiration from for this design? CQ: Inspiration [came] from a number of sources, the most prominent being modern indoor lighting solutions. Think modern task lights. Bauhaus design principles also inspired some of the initial design language, but it skewed more modern as we continued designing. Material inspiration was taken from a few product examples that mix natural and synthetic materials in a tasteful way. We added the wood badge to the dial and that became a design element that we repeated in other products as well. Dyrt: Let’s go a bit deeper on the design process–do you start with a sort of design board with different style elements you like and then start iterating? What are the major limiting factors that “skew” a lantern design from the initial vision to the final product? CQ: Yeah we start with a design board of different style elements we like. Not only does the Sitka Lantern change the way we light our campsite, it also raises the bar for camping lantern design. There are few lamps that look this good, let alone camp lanterns. We go through those and look at the persona we’re designing for and see which ones we think will be the best fit. Manufacturing limitations often skew the design. I try to not limit myself by thinking about manufacturing at the start of a project, which allows me to get a bunch of crazy ideas out there that probably won’t make the cut, but definitely will inform future iterations. However, when it’s time to actually make something in the physical world, there are usually hard and fast rules around manufacturing. I think with the Sitka we were able to come to a really good middle ground between our initial design language and those manufacturing limitations. Dyrt: Totally agree. 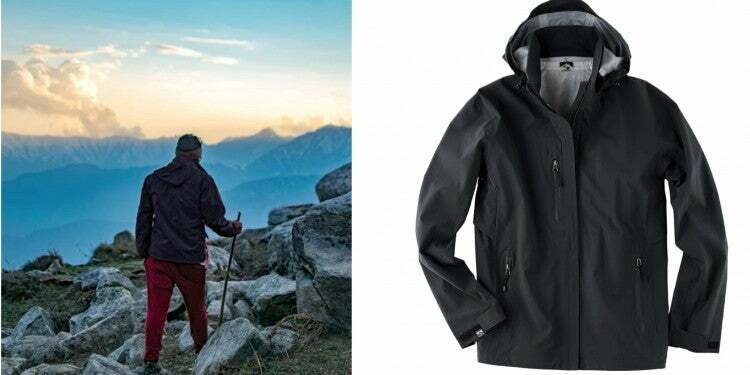 So, one thing to note is there are two models: the Sitka and the Sitka+. We talked a bit about the charging capabilities earlier. What other the differences are there between the two? CQ: Sitka is our base model. It’s powered by 6 D-cell batteries and has 1 USB output to charge your devices. Sitka+ is the step up to a lithium-ion rechargeable battery with a 6600 mAh capacity and 2 USB outputs. Both lanterns have outputs of 500 lumens and feature a “northern lights mode” that cycles between a number of colors to provide some nice mood lighting. UCO’s Sitka Lantern is available for order in early 2017.